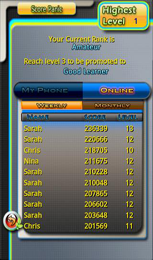 Awesome puzzle game with addictive gameplay and online game scores. 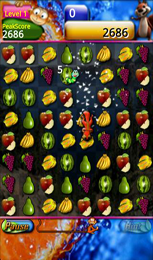 Fruited has several new features with fully upgraded graphics & animations. 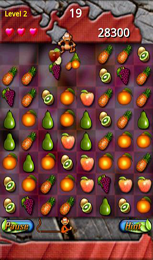 If you have got bored with similar games or if you want more funnier and entertaining match puzzle game, Fruited is here for you. 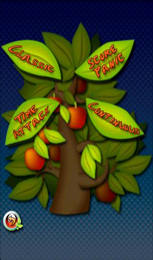 Its gameplay is better than other similar games with lot of creative fun involving monkeys, squirrels & worms. 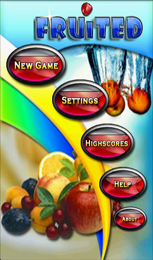 Fruited Introduces three new game modes along with our Original(Classic) game mode as below. 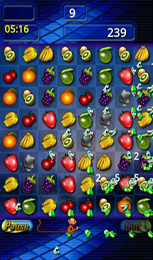 Animated monkeys and squirrels are mischievous, but when you form a nice combo of fruits adjacent to them, they will clear all surrounding fruits. Worms! Beware of them. 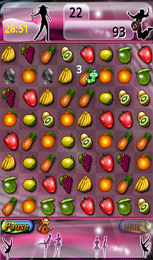 Clear them before it will spread to your adjacent fruits.